Imagine having endless hot water… no matter how many family members or house guests you have! With a Navien tankless water heater, you can have all the hot water you want….and pay less money for every shower at the same time. Naviens are well known in the industry for their reliability and their EnergyStar-rated efficiency. In fact, they are one of the most energy efficient tankless heaters that money can buy. They are also a very mature technology, and are truly reliable when installed correctly by Navien-trained technicians like the ones at ATEL. If you’d like to have an in-home consultation and talk about what works best for your home and your needs, give us a call or ask for an appointment via email. We can provide financing to help you get the model you want for low monthly payments. Energy Efficiency. Models range from 95% to 97% AFUE efficiency. That’s as efficient as possible with today’s technology. Qualifies for energy efficiency rebates. If there’s a government or gas supplier rebate, Naviens will qualify. 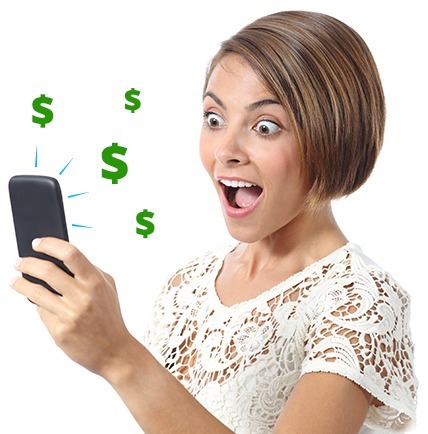 Check our specials page to see what rebates are on now. Comfort Control. Set the timer to put the unit in ‘’standby” when you’re at home, and enjoy instant hot water as soon as you turn on the tap. Easier and less expensive to install. Naviens use standard ½” gas lines, so there’s no need to convert your existing supply lines. Multiple sizes and flow rates. 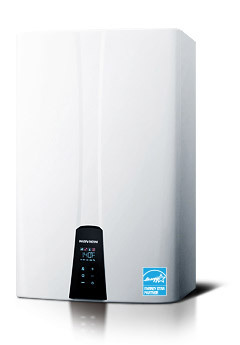 You can right-size your water heater for your current and future needs. Industry’s best heat exchangers. Navien not only has two heat exchangers for faster heat transfer, they’re both made of stainless steel, not copper. They resist corrosion and water scale much better. Space saving design. Navien tankless water heaters mount to a wall, and save floor space in your utility area. Industry leading warranty coverage. The tank is covered for 10 years, and the heat exchangers for up to 15. Condensing technology. Innovative design reclaims almost all of the “waste” heat and uses it to help pre-heat water, instead of losing it up the vent. Easier venting. Because so much heat is recycled, smaller venting pipes can be used. Was it sized properly for the home and level of demand? Was it installed by an expert technician who was trained by the manufacturer? With ATEL Air, you’ll always be able to answer “yes”! I have had ATEL Air work on multiple projects and every time I am so pleased with the people they send to my home. Even when a unit that was in my home that they did not put in they serviced it and made things right. I give this company an A plus! ATEL Air has been serving Eastern Ontario since 1949. From our friendly, no-pressure sales process to our professional installations, you’ll be pleased with how we do business from beginning to end. 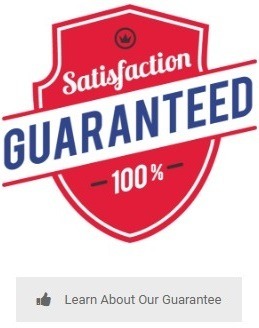 If anything goes wrong with your new Navien, you’re covered by our satisfaction guarantee: if it doesn’t work, we’ll fix it (or even replace it) for free.